How great would that be to win your wedding?! And it is completely possible to do. There are so many wedding contests that very few brides get to know about, they are normally run by small suppliers who will find it difficult to get the word out and sadly only a small number of couples enter. Of course if you win, please let me know, I love to hear happy news and if you know of a contest that is not listed please let me know that too. Wow! The chance to win your wedding dress from Just Alexander Bridal. Complete the entry form here to enter. Enter to win your wedding cake from Artistic Wedding Cakes. Complete the entry form here. 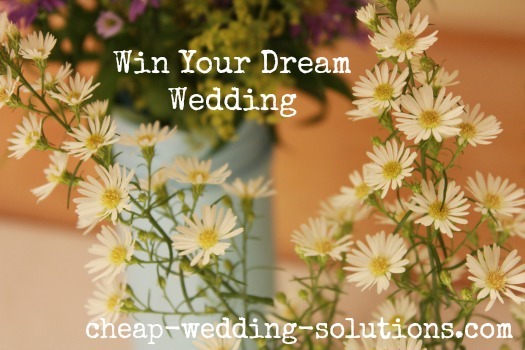 Enter here for your chance to win your dream wedding flowers from Multi Flor.